Everett second graders in Ashely Lyon’s class made products out of paper to market and sell at the class marketplace. The second-grade classes at Everett Elementary recently studied about producers and consumers in their economics unit. They learned that producers are people who provide or make goods and services for consumers. People who use services and goods are called consumers and typically pay money to receive goods and services. 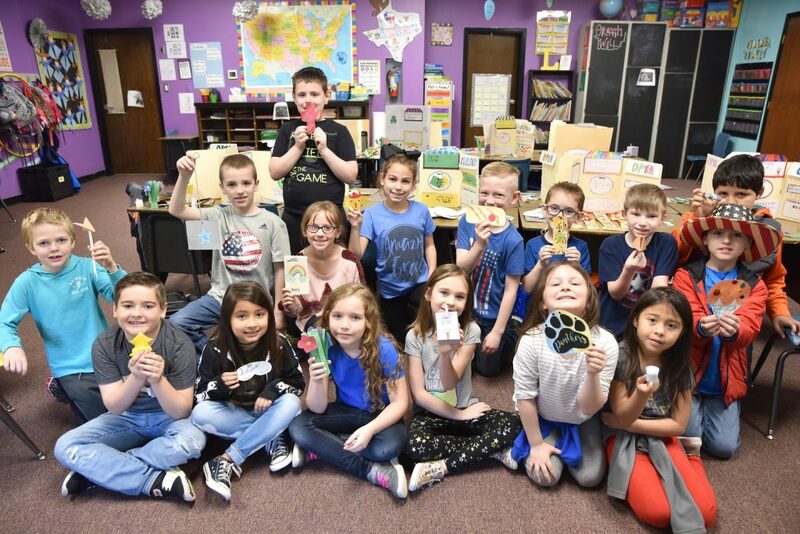 Teacher Ashley Lyon assigned her students to work with their parents to come up with a product and, using their creativity, make something to sell out of paper. At the end of the week, students named their products put a price on them and promoted them in a marketplace for others to buy. Priced at fifty cents to three dollars, the products included paper flowers, ice cream cones, Texas team signs, hopping frogs, airplanes, pets, crosses and the like.